This book is important, and not just because it's about Donald Trump. It is essential reading for anyone who wants to discover the official Trump Brand Origin Story, to learn his positions on vital issues like the militaryAre These the Biggest Missiles We Have?," science If Einstein Was So Smart, Why Wasn't He Rich?" and good government Of the Good People, By the Good People, and For the Good People . Through hilarious stories, photo mashups, official documents, and future newspaper clippings, readers will experience life under the leadership of President Trump. This is the road map every citizen needs to thrive and survive in a "Trumpocalypse." Remember, it will be Trump's America, but you have to live in it. 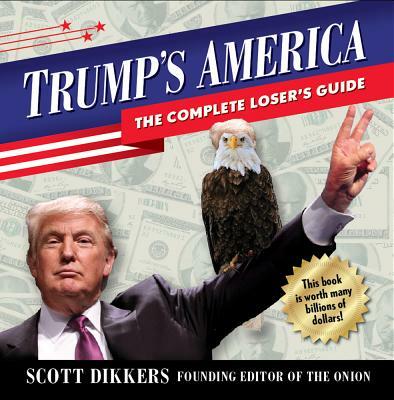 Scott Dikkers is the founding editor of The Onion, and the co-author of the bestselling book Our Dumb Century, which has sold over 500,000 copies.